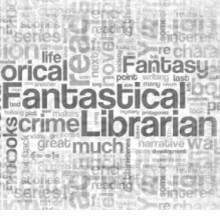 Who: Mieneke, a librarian and blogger over at A Fantastical Librarian where she posts reviews, interviews and more. In 2014, Mieneke was deservedly nominated for a World Fantasy Special Award: Non-professional. So, 2014 is already coming to a close. And I don’t know whether that makes me happy or sad, be-cause this past year in genre? It has been a year for all of the weirdness and it seemed that every time a controversy had run its course or come to a conclusion, the next one kicked off. And yes, perhaps that’s actually every year in this community of ours, but I don’t know *she said in her best Sarah Koenig impression* this year it felt just amped up to eleven. Yet despite all the un-pleasantness (understatement of the century), there have also been some awesome things started up this year, such as my esteemed hosts’ newest venture Book Smugglers Publishing and the We Need Diverse Books project. Other highlights were Ann Leckie’s awards sweep for Ancillary Justice, which is going to be my Christmas read and Hugo nominations for some of my favourite people, such as Ana and Thea, but also Jared, Anne, Justin, Aidan, Foz and Alisa, Tansy and Alex. And of course, I got to meet Ana in person this year and have dinner with her and several other people in London last October. Much fun was had and lots of books discussed! So it has truly been quite a year and I’m pleased that we made it to December once more and that I get to celebrate Smugglivus with everyone again! Before anything else, I loved this book’s cover. It’s lovely, eye-catching, and actually portrays elements of the story fabulously. And it’s a fabulous story as well. 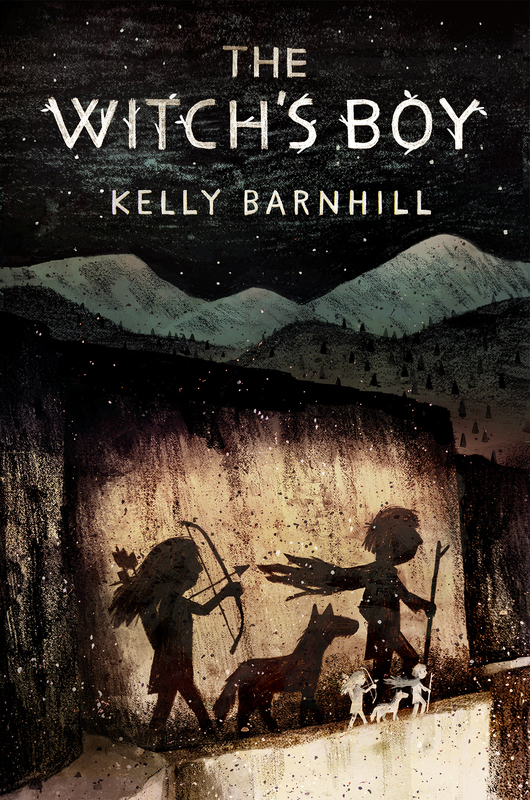 Barnhill writes a lovely, lyrical and subversive fairytale that is all about love, grief, letting go, and forgiveness. Her Ned and Áine are very different yet equally compelling characters and I loved the bond she developed between them. The book very much deals with how the trust between them is developed, yet they both have their own arc and growth and this book was just an unexpected present. This book, y’all, THIS BOOK! Glaze was utterly fascinating and terrifying at the same time. And not because it is a horror story, but because it is such a scary vision of what the near future might look like if you extrapolate today’s social media-infused society and technological developments just a bit further. 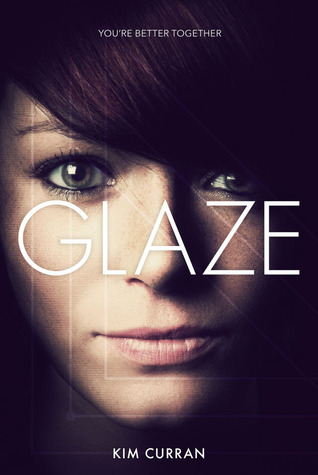 Featuring Curran’s usual snappy dialogue and great pacing, Glaze tells the story of fifteen-year-old Petri, who is the last of her class to not have gotten on Glaze, the newest and definitive social media network. Delivered through a neural chip and always on, Glaze would be any intelligence agency’s dream come true. When circumstances keep Petri from ever getting chipped with Glaze, she joins forces with a shadowy organisation that fights against Glaze and in the process discovers herself as well. Also, did I mention she finds a really lovely boyfriend as well? This is a book I raved about because I just loved its concept so much and the execution totally lived up to it. Nolan sees another world every time he blinks. He finds himself transported to the consciousness of Amara, a servant girl with strange abilities living in a secondary world very different from Nolan’s own modern-day America. This standalone adventure features diversity galore in differing intersections. Duyvis is a fellow Dutchie and I loved some of the typically Dutch elements she introduced in her secondary world; these were like little presents every time I dis-covered another one. GIANT. ROBOT. GOLDFISH. That doesn’t convince you? Sheesh, tough crowd. Well, in that case, McDougall’s Mars Evacuees is a fabulous middle grade story starring Alice Dare, a young girl sent to Mars with a selected group of other children to escape the war that is currently raging on Earth between humanity and the invading aliens, the Morrors. They’re supposed to be trained in safety to become the next generation of war heroes, but of course things do not go as planned. 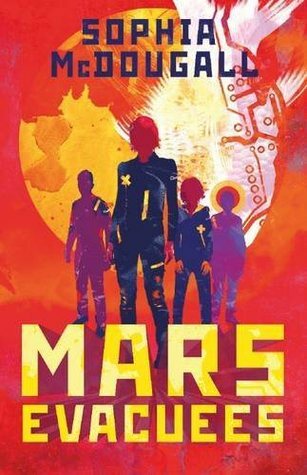 What ensues is a tense, exciting, and very fun adventure on Mars and I loved every minute of it. This would be the perfect Christmas gift for any young geek in your life and would be great to read together. 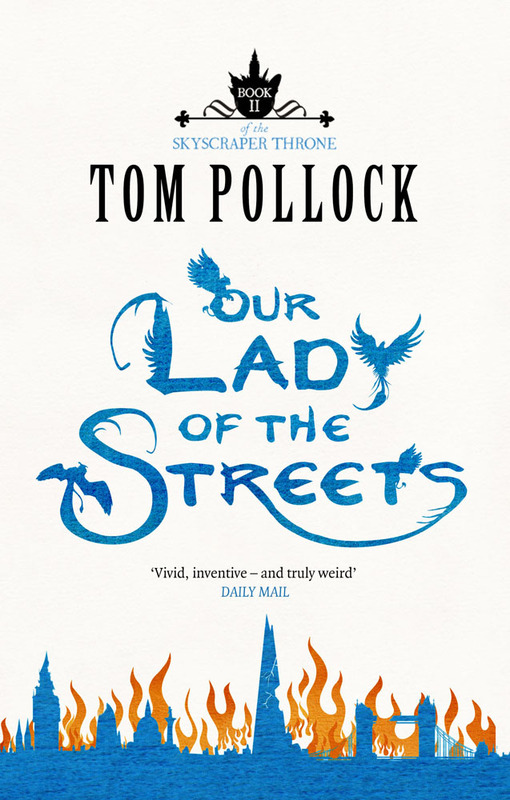 In actuality, Pollock’s 2014 title was Our Lady of the Streets, the concluding volume to the Skyscraper Throne trilogy, but I’m just going to put the entire series out there, because this is definitely one of the best series I’ve read in the past years. All three books are distinctly different in tone, but they are all magnificent and with Our Lady of the Streets Pollock concludes Beth and Pen’s story masterfully. Because these books gave me ALL. OF. THE. FEELS. Magical London, fabulous beasts, and raging adventure not withstanding, the Skyscraper Throne trilogy is all about the friendship between Beth and Pen and how it survives and adapts to all that has happened. In this last book, Beth and Pen are reunited and have to fight together to save their city, their loved ones, and each other. Pollock’s conclusion to the series left my heart in a thousand pieces, but it ended on hope and is all one can ask for. 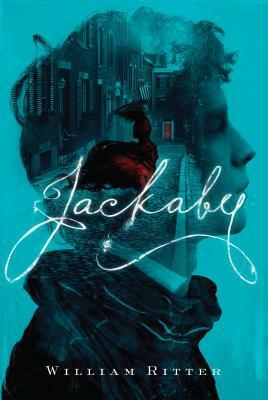 Will Ritter’s Jackaby, which is a charming and delightful Holmes-inspired mystery novel featuring a fabulous young woman detective. Alex Campbell’s Land, which is a dystopian future that has some eerie echoes of the past and takes place in a situation that for someone living in a land that has battled the water since forever is a scenario that is frighteningly possible. Scott K. Andrews’ TimeBomb is just oodles of fun; a fast-paced, time-travelling adventure, set in the past, the present and the future. 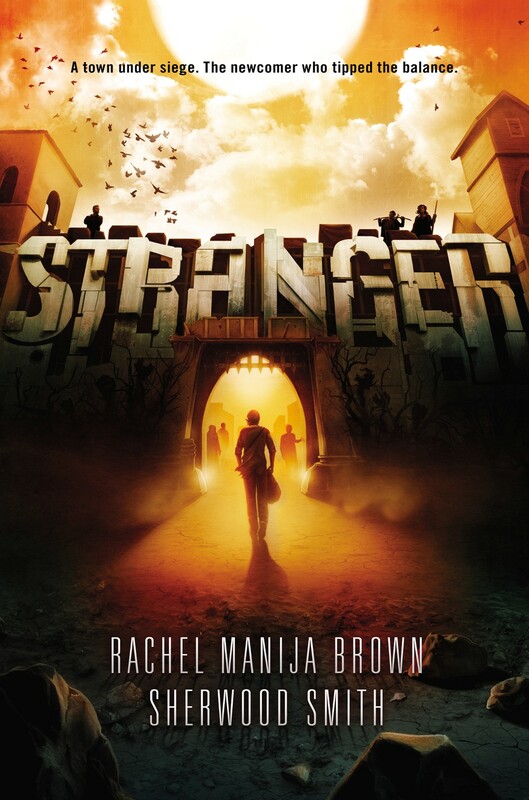 Last but not least is Stranger by Rachel Manija Brown and Sherwood Smith. 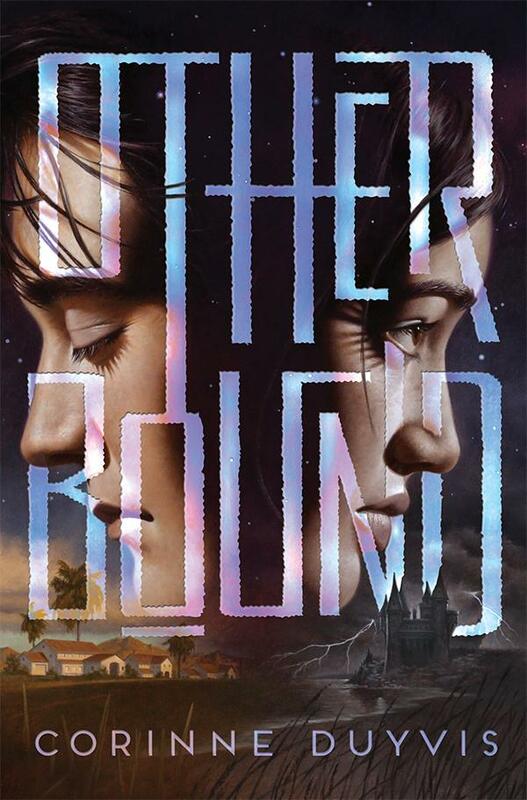 I loved this YA novel, which mixed Western sensibilities with SF and fantasy elements making for a story all of its own featuring a wonderfully diverse and engaging cast. I’ve loved both of Tanya Byrne’s previous books, so I can’t wait for her next one. I’d read it sight unseen, but the premise for For Holly sounds great and I can’t wait to find out what twists and turns Byrne has in store for her readers this time around. Whimiscal Southern Gothic is how Dawson’s previous YA was described and while I didn’t get to read that one, I did start following her on Twitter because of it and now I’m determined to read Hit, because if Dawson’s humour translate only one-tenth to her books then they’ll be great reads. Also, indentured teenage debt-erasing assassins? Count me in! Gregorio’s debut has garnered heaps of advance praise. 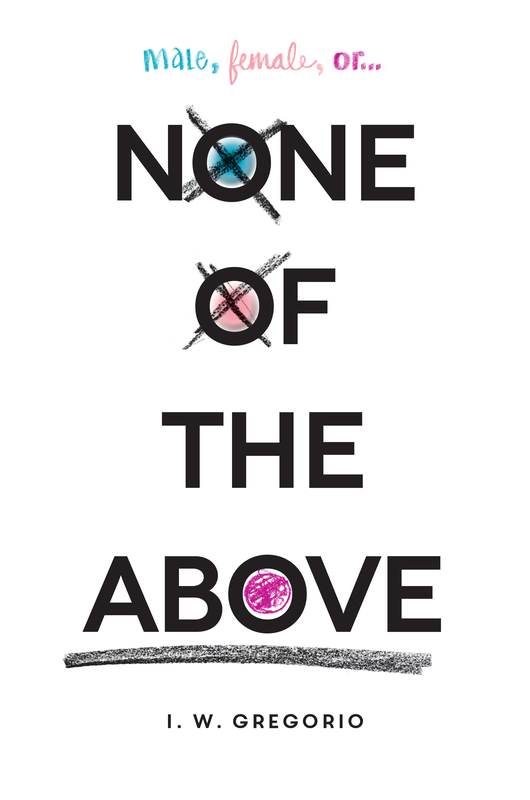 My attention was first caught by the amaz-ing cover, but when I read the blurb I really wanted to read the book as well, because it sounds like it will be one of the must-read YA debuts of 2015. Telling the story of Kristin, a girl at the top of the social heap at school who discovers that she is intersex, None of the Above promises an inter-esting look at intersex and the realities of getting to grips with your body, when your body sudden-ly isn’t the one you thought it was. Thus far I’ve only read Smythe’s short fiction, but everyone I know who’s read his novels has raved about them. So it seems like a no-brainer that I should read his first YA SF offering. 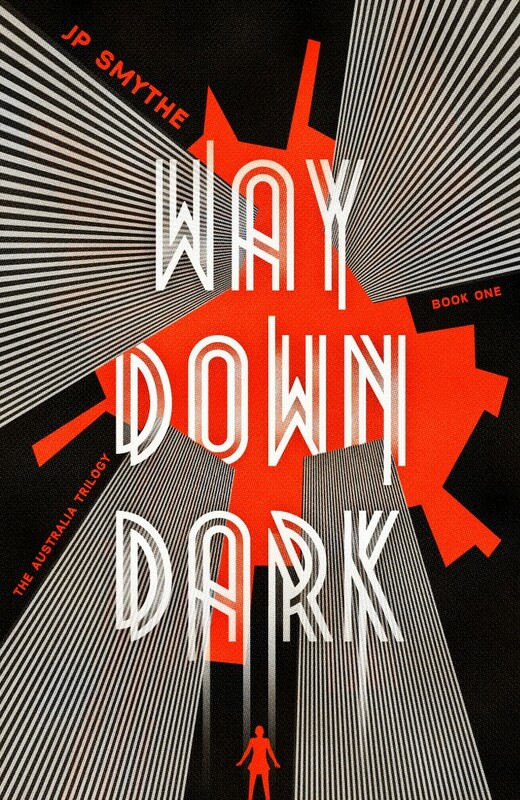 Set on a colonist space ship stuck out in space, left adrift due to power struggles aboard, Way Down Dark’s seventeen-year-old protagonist discovers a way to bring the ship home to Earth. Of course discovering a way and actually accomplishing it, are two wholly different things, especially while trying to stay safe from the ship’s lawless leaders. There you have it. My fave YA reads of the past twelve months and my most anticipated ones for the coming six. Thank you to Ana and Thea for having me crash their Smugglivus party once again. And to everyone, Happy Smugglivus one and all, may your days be merry and bright, and may 2015 contain nothing but good books for you!